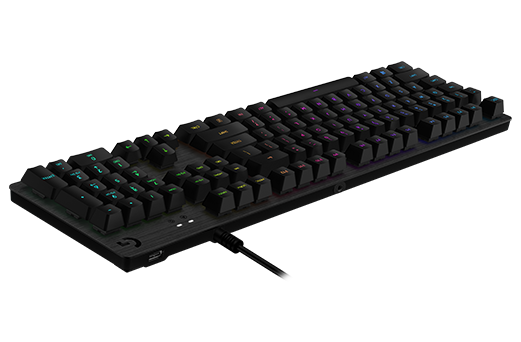 G512 is a high performance gaming keyboard, delivering 1 ms report rate and featuring choice of advanced Romer-G Tactile or Romer-G Linear mechanical switch. Full-spectrum RGB combined with LIGHTSYNC technology takes the lighting experience with your games to a whole new level. Aluminum alloy enables a bladelike chassis with a beautiful brushed metal finish. 1 Advanced settings require Logitech Gaming Software available for download at logitech.com/downloads. 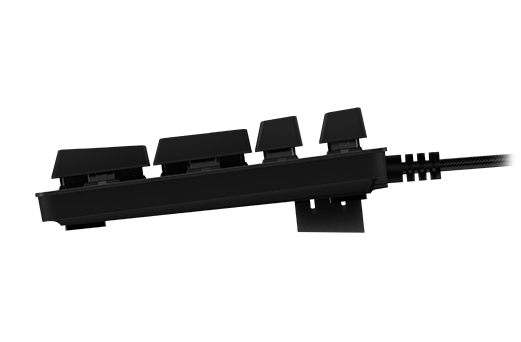 Romer-G is quieter and 25% faster than standard mechanical switches. Now available in two distinct versions: Tactile or Linear. 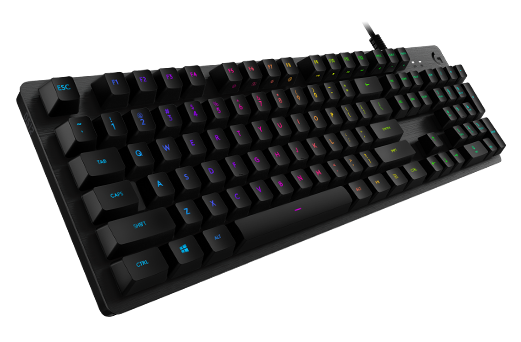 Romer-G Tactile is the original profile, providing a discernible actuation point that you can feel, while Romer-G Linear provides a completely smooth keystroke. Romer-G Tactile and Romer-G Linear are sold separately. Don’t lose a game because you fat-fingered the Windows key. Toggle game mode with FN+F8. Deactivate additional keys using LGS. 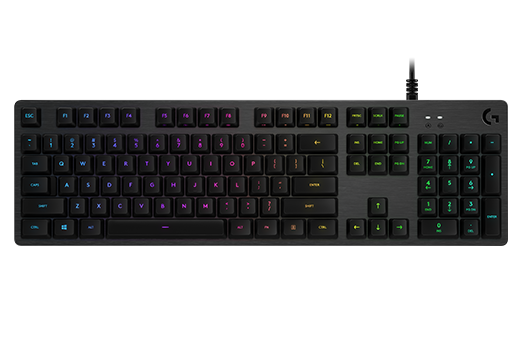 Store per-key RGB lighting profiles in the onboard memory for use on any system.